What a fun idea for a party! A pie exchange, much like a cookie exchange but held within days of Thanksgiving, gives the guests a pie to take home for their thanksgiving feast. Check out these Thanksgiving party ideas from celebrations.com and you too can host a Thanksgiving Pie Exchange Party. Pear Tree’s A Piece of the Pie Thanksgiving Postcard invitation was the inspiration, though the text on the front can be edited for any type of Thanksgiving party, whether you decide to make it a pie exchange, a pie tasting, or just an invitation to your Thanksgiving feast. In this case, each guest was asked to RSVP with the type of pie they were making, and to bring a copy of the recipe along with the pie. Hosting a pie exchange party is a breeze, and it’s best to keep it simple before Thanksgiving. 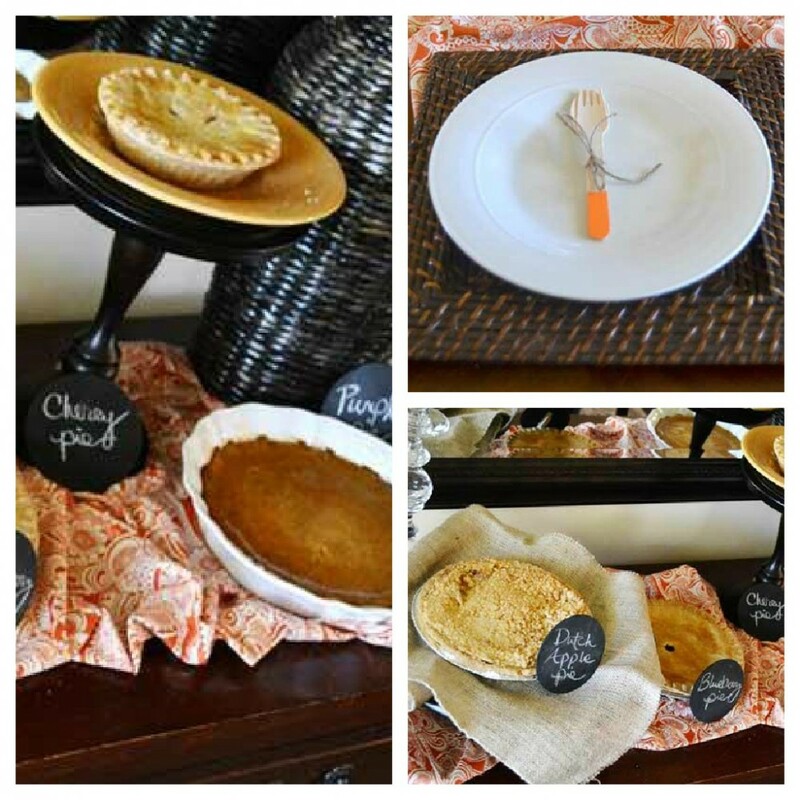 All you really need is a serving table set up to accommodate lots of pies, and an easy labeling system, such as coasters painted with chalkboard paint, so guests can label their pies as they arrive. 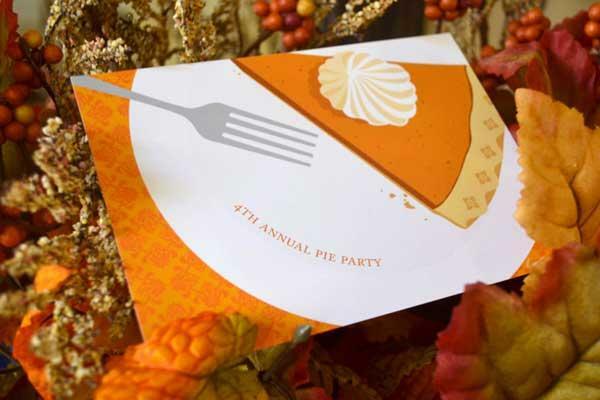 Read all the details about how to plan a pie exchange at celebrations.com, or check out our Thanksgiving invitations and find inspiration for more Thanksgiving party ideas. ← PreviousHis+Hers=Ours: Wedding Dress Shopping!